No one likes to talk about things that create a sense of fragility. I am known as someone with a strong disdain for showing vulnerability and to be honest, I haven’t ever wanted to change that because being so strong-minded (aka stubborn and thick-skinned) has saved me from having to deal with a lot. One thing I was not prepared for was anxiety and pregnancy at the same time. Now, please don’t psychoanalyze me just yet. Trust me, I’ve just about completed my Master’s in this area… I analyze myself enough. I have heard that phrase all of my life, used in many different situations and for many different reasons. I’ve also run it through my own head in times of need or worry. Lately, I seem to have forgotten what it really means. This pregnancy has been a source of a lot of different emotions for me, many that I am not really used to feeling. 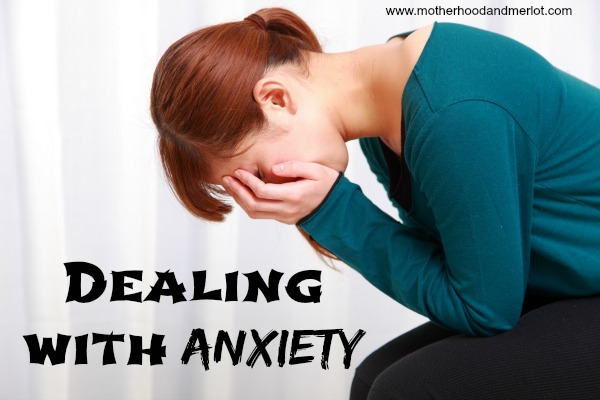 Anxiety has been something that I have had to deal with quite a bit throughout the course of being pregnant with twins. It has never been something that I really felt affected me, but now that it is, I can see how those that constantly suffer from it could find it almost debilitating. I am what most people would call a “worrier” and someone who is very protective over my children and over myself. I don’t do extremes, I am very particular about the way my children are raised, and I have a deep need to be in control of every situation I am in, in order to prevent bad outcomes if I can. The reason that I have been so affected by anxiety lately is because I feel very out of control when it comes to these two babies I am carrying and the things surrounding this pregnancy and their delivery. We got the news a few weeks back that the babies were breech, which doesn’t make me anxious at all. I was born breech, along with a few of my other siblings. What brought on the anxiety was the fact that the hospital is so strict about the way that breech babies must be born, especially when it comes to multiples. Not that they could force me to do it, but obviously it would be much more than frowned upon if I completely rejected it… I really don’t know what the outcome of that scenario would be to be honest. It may sound strange to some women, especially those that have had a c-section and are just fine now, but I feel more comfortable dealing with labor on my own without any medication or assistance than I do being numb and letting someone cut me open. No matter way you give birth, I think the most important thing is being okay with it and being able to accept the situation for yourself. For me, I can’t accept the idea that I HAVE to have major surgery because my baby isn’t turned the right way. It may be easier for me to say this, because I was born breech and my mom had 10 children naturally and unassisted in the hospital. I have no fear about giving birth that way, regardless if I am having one baby or two. Even talking about it, I feel my anxiety spiking. It turns my stomach around in knots and I get a very panicked feeling about being faced with this as a reality. While there are still a few weeks left for our Baby A to turn, she could turn but then turn right back. The unknown is killing me. Having anxiety about it has and is making the last weeks of this pregnancy a roller coaster. Some days things start to look up and I feel myself regaining control of my emotional state. Other days seem to be full of really anxious and terrified feelings about what “could” happen. It has also brought on a lot of angry feelings. Anger because I don’t like to be told I “have” to do something like have a c-section. Anger because I have to hear everyone else talk about it like they have to go through it too, even though I know they are usually only trying to be supportive. Anger because I can’t break these anxious feelings that cause me not to sleep, not to feel like my normal self, and are so draining. The hardest thing for me is to let go in any situation. I am the dictionary definition of a “control freak”. From all the times I remember my faith being pushed to the edge, it was because I had such a difficult time releasing control of the situation and just letting the Lord do what He does every second of every day: leads, guides, and watches over me. So, I am learning to let go of all the worry and the situations that are out of my control, and to let God take control of it (like He wasn’t already). It is much easier said than done and I don’t really know how long it will take me to relinquish control mentally and just allow him to bring a sense of peace, not matter what situations come up. But, I can say that I am going to try. My first step in dealing with all of this anxiety and pregnancy? Prayer. Lots and lots of prayer. Update: You can read more here about my struggle with postpartum anxiety after our twins were born. How do you deal with feelings of anxiety or fear of uncontrollable situations? Thank you so much! I am really trying to just let it go because it has started to really feel like it is overwhelming every area of my life these passed few weeks. Birth is such an incredibly personal experience that it can be very difficult to hand over control or be told what you “must do.” While the hospital has their guidelines, do you have a support system in place who will help you stand up for your decisions and birth plan? Thank you for sharing this! It’s not something that people like to talk about. We don’t have kids yet, and part of that is because I really struggle with anxiety and it makes me a little nervous going through this whole pregnancy thing. I’m been taking some big steps at working through this. Best of luck with the birth of your twins! Praying for a safe and healthy birth for you and your babies. I really hope that you’re able to get through that and enjoy going through pregnancy:) It’s all worth it! Lauren recently posted…Operation Summer Fun! 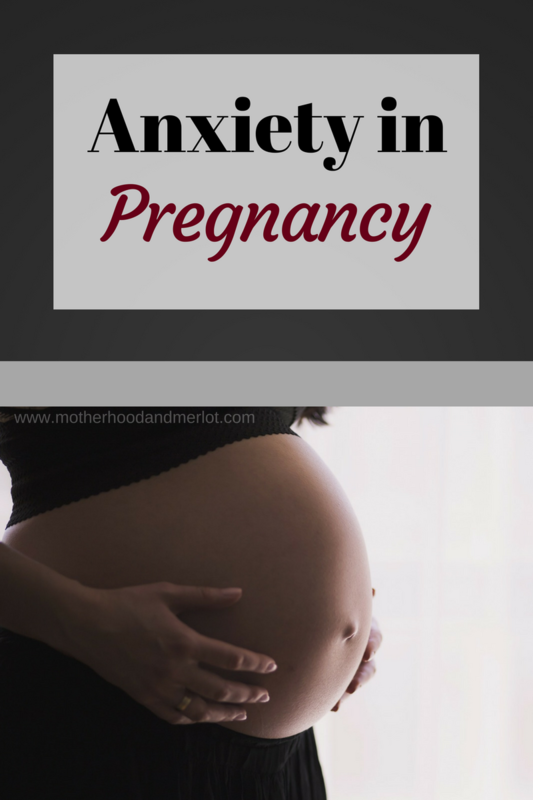 I’m so sorry for the anxiety you are feeling during pregnancy… I had a lot of anxiety during my last pregnancy- for different reasons but the feelings are the same. For me yoga and prayer helped at least a little 🙂 Best wishes! Ugh! I too am a total control freak! Trying to make peace with the situation is easier said than done, but I think writing about it and discussing it is a great tool. Praying for you and your littles! Thanks so much for your post. I am also pregnant with twins, due February. I have recently been feeling a lot of anxiety and not really knowing how to fix it, or help myself. I feel like reading someone else going through the same thing has really been helpful. PLease feel free to share any other tips or stories that you would like. It helps! Thank you so much! I will check that out. Every day will be a little better.